Self-hosting can mean two things. The first is that a person develops WordPress on their own to make it more their own platform and this is possible and legal because WordPress is open source. However, the second thing people think of when they hear self-hosting is that the website is hosted on a paid or personal server. This article assumes the self-hosting to be that you purchased hosting services and placed your WordPress website or blog on it. This is just a nice way of saying you can use it for free. The content management system is free to use and download, and you can legally change and alter its core software from the ground up. This is the reason why so many programmers have made plugins for it. The plugins you may find are not so free. There are some that are, but many of them are not free, and you have to be careful from which websites you download them because some people put malware into plugins so that you end up installing a secret door to your blog that only the plugin developer can get to. Still, WordPress is one of the many content management systems that is completely free to use, and you can alter the program as much as you like quite legally. WordPress is special because there was a time when you could optimize a blog up to 90% of fully optimized. This is about as high as you can go without over optimization. The other 10% are SEO factors that appear on social media, regular websites, directory websites or eCommerce websites. If you were to tick boxes as for all the ranking factors a page could have, then you would find templates available for WordPress that may be optimized up to 90%. This is not as true today because there are now more search engine ranking factors than ever. But, as content management systems go, it is still able to be optimized to a very high standard. It is just that we cannot really figure out just how highly, especially since the Google PageRank toolbar is not updated as much these days. It is easy to install because the developers have made it that way. There is also the fact that WordPress is very popular, so there are lots of online articles and videos showing you how to install it and how to use it. Using it is another point in its favor. 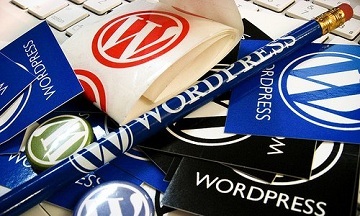 There are a lot of “what you see is what you get” content management systems and WordPress is one of the most popular. They use drag and drop systems to build what your page is going to look like. The program is not easy to understand or even easy to learn, but once you get the hang of it you will find it to be far easier than most alternatives. WordPress call their templates their themes because they enjoy confusing people with poor English skills. There are a lot of WordPress templates and a lot of them are free to use. You have to be careful when using them and must get them from websites that are trusted. They are like plugins and may too have poor programming or security holes. You can use a template as a skeleton for your website, or you can use one that has a lot of features already within the template. Many of them are free and they add in different features you can have on your website. It does feel like a bit of a con in that the original program does not come with some features that you want for a website or a blog, but that is the way that WordPress works. There are themes and plugins available to buy on the WordPress website. But, you can buy plugins and themes from other websites too. You just have to be careful to be sure they are legitimate websites that do not sell shoddy goods with security holes in. The thing is that there are a lot of plugins, which means there are a lot of things you can do with your WordPress website. Other content management systems do not have as many plugins and so it stands to reason that you cannot do as much with them as you can with a WordPress blog. There are always lots of new WordPress plugins being developed because it is still a popular content management system. Sonia J. provides this post. She also works at writing-service-assistant.com that helps students to find the most professional custom writing service.